If you want to experience Dead Rising 3 in its entirety, you're going to need to keep a tablet or smartphone handy while playing. 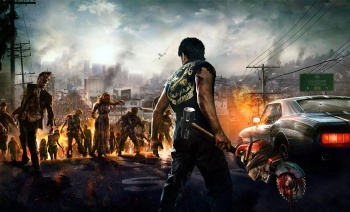 When Microsoft debuted Dead Rising 3 during the recent E3 conference, one of the big bullet points the company presented for the title was its Smartglass functionality. The idea of interacting with a videogame via tablet or smartphone is not new for Microsoft - it first demonstrated the technology at E3 2012, and you can currently find this functionality in a number of Xbox 360 applications -Â but with the Xbox One the firm hopes to really push the concept on consumers. According to a new Siliconera interview with Dead Rising 3 executive producer Josh Bridge, that effort includes in-game missions that are only accessible if you're a Smartglass user. Bridge was asked to explain how exactly Smartglass works in Dead Rising 3 and he was surprisingly candid in his response. "After you launch the [Smartglass] app, it notices that Dead Rising is currently being played, press a button, and in kicks your phone," Bridge states. "It actually skins your phone to be like the phone from the game's universe." More intriguingly Bridge adds, "You'll get calls from a character that are only on the SmartGlass device. So if you don't have SmartGlass, you won't get those calls from that guy. Which also means you won't get those missions." It's currently unknown how extensive this Smartglass exclusivity might be. Whether it's localized to that one character (and the missions that surround him/her) or if it's to be found all over the game. We're attempting to contact Capcom for further information, but in the mean time those of you with intense addictions to Capcom's open-world zombie franchise might want to start saving your pennies for a mobile device of some kind. Even if Dead Rising 3 didn't feature this sort of exclusivity, it appears certain that Microsoft is headed down this direction with the Xbox One. Welcome to the future of gaming, huh?